• Wide band FM modulation,4 channel system. 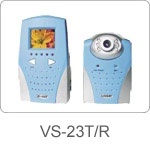 • Portable receiver provides you more flexibility. • camera :IR LEDs for night are selectable. 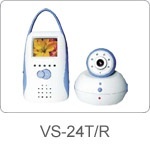 • Surveillance or baby monitoring. • LED indicates battery low voltage. • Ch1...Ch4 scan in auto site. • Apply earphone via earphone socket.